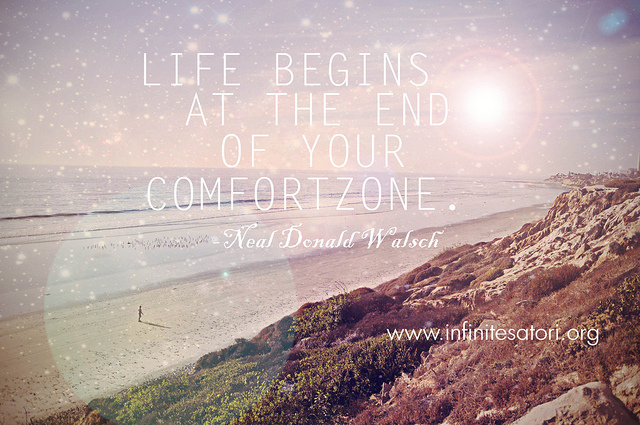 YOUR COMFORT ZONE: Relationship? Stable job? Apartment/house? Hometown? School? Everyday mundane routines? Whatever you are doing… if you are not challenging yourself or taking risks you are in your comfort zone. It’s so easy to just stay within it because it’s familiar and gives you a sense of security. You know what to expect so you’re not burdened by the dark infinite abyss called the unknown.. but wait.. do you really want to live your life that way? I’ve realized that all the risks that I’ve taken in life, especially within the past couple of years, has led to so many serendipitous moments and beautiful experiences. Whether it was from getting out of an ego-driven relationship, going on a spontaneous adventure, deciding to not finish college so I can pursue my dreams… nothing bad came out of it. I became stronger, braver, and my life became so much better than it was before I took that risk. Excuse # 1: I would love to do that but what if it doesn’t work out then what would I do? Answer: What if it does? You wouldn’t know unless you tried now would do? Excuse # 2: Yes but I’m too scared to do this. Answer: Fear is an illusion your mind created. It’s not your reality. What your reality is the fact that you want to do it. If you stay with that reality in your head, then the fear will go away and whatever it is that you want will become your reality. Excuse # 3: What about the life I’m leaving behind? My job? My friends and family? Answer: That life that you are leaving behind is your comfort zone. Your family will always be there for you and your friends, if they are true, they will be too. Plus you have Skype for that! And what about all those potential new friendships and relationships you could have once you get out of your comfort zone? There’s so much out there if you’re brave enough to look. You must always be adaptable to change. Excuse # 4: But all my friends and family are telling me not to do it..
Answer: Whoever discourages you from getting something that you want is speaking through their ego-based fears. Maybe it’s because they too, have attempted to get out of that comfort zone but ended up getting pulled back in, or maybe they went after their dream but gave up right when they were extremely close it. Nevertheless, don’t listen to them. Don’t make their words your reality. It’s your life. Not theirs. If you feel the need to get out of the comfort zone go do it. If you want to chase after what makes you happy then do it. The possibilities are endless. Excuse # 5: I’m risking everything though.. what if I end up with nothing after taking this risk? Answer: In order to truly live, to fully experience what the universe has to offer, we must always take risks. Always. It’s part of change. Of evolution. Of being a human being. Of living in this beautiful world full of infinite possibilities. The only thing holding you back from getting what you what and what you truly deserve, is YOU. Believe in the simple thought that everything will be okay and it will be. Then keep a strong positive mind throughout all the obstacles and struggles, and get through it. After that, you’ll see the light. The universe will work its magic and everything else will fall into place. So do it. Take that risk, that leap of faith, dive into the unknown and the universe will open doors where there were none. Couldn’t agree with this more!